You can then either borrow the approved paint color book from the paint coordinator or view the one available at our local Sherwin-Williams store (See below for store details.) When you have made your choice, complete online the Request to Paint Form sent to you by the coordinator. The paint coordinator will then let you know if your choice(s) have been approved. By clicking on this Sherwin-Williams link, https://www.sherwin-williams.com/homeowners/color/find-and-explore-colors/hoa/centennial/co/willow-creek-iii-hoa/, you can see examples of the single-family home color choices approved by the Architectural Control Committee. All but four custom colors are provided. 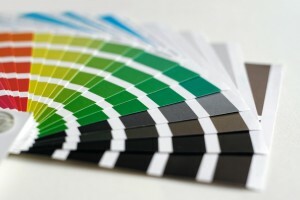 Be aware that the colors as displayed on your viewing device may differ somewhat from the actual paint colors. A notebook of Willow Creek 3 choices for field (main), trim and accents colors is available at the Sherwin-Williams store located at 7580 Park Meadows Drive in Lone Tree. The store is in a small strip mall across the street from Sam’s Club off Quebec. Hours: Monday – Friday: 7 a.m. – 7 p.m.
Sunday: 10 a.m – 6 p.m.
A 10 percent “Preferred Customer” discount is available for Willow Creek 3 residents. Sales also take place periodically. This store participates in paint recycling through PaintCare.org . Check with the store for details on recycling unused paint. Remember that all exterior paint colors must first be approved by the WC3 paint coordinator (see above). You can go to the Sherwin-Williams store, 7580 Park Meadows Drive, Lone Tree (see above for details) and give them your townhome address. Based on the location of your townhome, they will provide you with the appropriate color. A complete list of the townhome color choices is also available by clicking on the link below. •CertainTeed Landmark T. L. colors: Burnt Sienna; Colonial Slate; ReSawn Shake; ; Weathered Wood; Shenandoah (townhome color). •GAF-Elk Timberline colors: Slate; Pewter Gray; Dusky Gray; Shakewood; Hickory; Weathered Wood; Barkwood. •Malarkey (Legacy and Windsor) color: Heather, Natural Wood; Sienna Blend. •Owens Corning colors: Desert Tan; Charcoal; Brownwood; Teak; Driftwood; Estate Gray; Sand Dune. •Pinnacle Atlas colors: Driftwood; Heather Blend; Heathstone Gray; Burnt Sienna; Hickory; Colonial Gray; Weathered Wood; . •Tamko colors: Weathered Wood; Rustic Cedar; Rustic Redwood; Autumn Brown; Mountain Slate. Remember that the ACC must receive and approve the roof replacement submittal, even if the above colors are used. Using these colors does not constitute approval by the ACC. However, using the above colors/manufacturers will expedite the approval process for your request. The ACC will consider other colors and manufacturers but a sample of the material must be submitted for review. Many of the changes to the exterior of your home are addressed in the WC3 Policies Handbook.